Train with me to get lean and toned, fitting into your ideal dress with no problem at all! I have personally trained several clients leading up to their big day, some have trained as a couple and some have trained on their own with me in order to look thier absolute best on one of the most important days of their life. Many people want to lose weight for the big day. I have trained clients at the start of the wedding process where the day has been set or may be 6 months to a year away and its time to choose the dress. My clients have purchased a dress size on occassions 3 – 4 sizes smaller, one client going from a 16 to a 10 and another from a 10 to an 8. 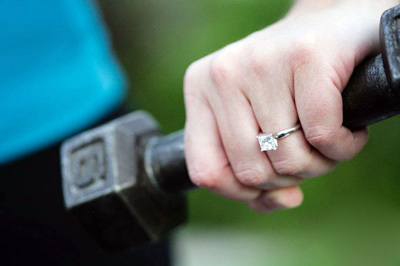 The Pricing of Personal Training for your wedding is discounted compared with normal bookings because you have a goal day and will need to have a number of sessions to achieve your goals.